June 6, 2010 January 26, 2012 - by TeamPiper - 119 Comments. 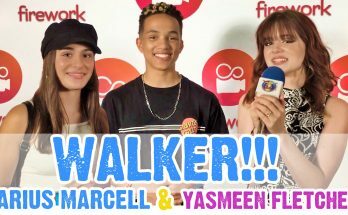 World famous tween celebrity interviewer extraordinaire Piper Reese sits down with the iNcReDiBlY talented (and super nice guy) Tyler Alexander Mann! YOU know him as “Carl the Intern” from “Phineas and Ferb!” Tyler is one of the most talented high school show choir stars from one of the very top choirs in the country! Yeah! That’s right. How do we know?! He was on OPRAH…WITH the cast of GLEE…AND we’ve been to the biggest high school pop show of them all, John Burroughs Pop Show!!! Yeah Baby! Check out Tyler Mann! Next Article PQP 010: Ariana Grande from Victorious on the Red Carpet with Piper Reese! We went to John Burrough’s Pop Show that year! Tyler was featured. He definitely is one of the best out there. We had no idea at the time we filmed the interview. Incredible. If you didn’t watch this whole episode, we have clips from the show! /watch?v=QTM8CT8eqC8 This is him singing in high school. He’s one of the best singers I’ve ever heard in my life. Haha! That would be funny! [..YouTube..] Haha! That would be funny! If he dressed up like Carl.. that would of perfect. He has the cutest smile! [..YouTube..] If he dressed up like Carl.. that would of perfect. He has the cutest smile! He is an AMAZING singer! [..YouTube..] He is an AMAZING singer! lol how does he forget the theme song of the show he works on. [..YouTube..] lol how does he forget the theme song of the show he works on. [..YouTube..] Haha…you wouldn’t…he’s really nice. [..YouTube..] Yeah! He’s amazingly talented! aw such a cute/awesome voice! [..YouTube..] aw such a cute/awesome voice! ^-^ I totally wish I could meet him! XD Knowing me, I’d make myself look like a fool, though. [..YouTube..] ^-^ I totally wish I could meet him! XD Knowing me, I’d make myself look like a fool, though. Haha! He’s a really nice guy and one of the best in his show choir…if not the best. Amazing. [..YouTube..] Haha! He’s a really nice guy and one of the best in his show choir…if not the best. Amazing. Wow, You are very lucky! great videos! [..YouTube..] Wow, You are very lucky! great videos! [..YouTube..] That would be awesome! [..YouTube..] @clubawesomest101 🙂 Thank you! [..YouTube..] @7654gf Thank you so much! do you have people making what you say? [..YouTube..] do you have people making what you say? IS that carrotheads son. U know the stand up comedian that was big like several years ago, hehe. [..YouTube..] IS that carrotheads son. U know the stand up comedian that was big like several years ago, hehe. [..YouTube..] We did! We have episodes with Jennette, Nathan, Miranda, Jerry, Noah (Gibby), Reed (Nevel) AND Aria (Mandy) – please check the guide on our channel, our website, or iTunes! Thanx so much! [..YouTube..] @TheSoulifeR We did! 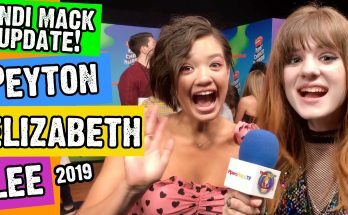 We have episodes with Jennette, Nathan, Miranda, Jerry, Noah (Gibby), Reed (Nevel) AND Aria (Mandy) – please check the guide on our channel, our website, or iTunes! Thanx so much! [..YouTube..] Thank you sooooo much! 🙂 Really sweet! [..YouTube..] @ChanceFan42 Thank you sooooo much! 🙂 Really sweet! [..YouTube..] OMG 13! My Uncles best freind wrote that book! He was Artie in the L.A. reading! [..YouTube..] WOW! Thanx for writing…OK: 1) TeamPiper2) 10 – but younger when we filmed the interview on this one3) Yes4) Hmmm…not sure about famous…the show’s been around for 3 years now though.5) Piper 🙂 6) It’s a trick question! What if you’re famous for owning the biggest toilet or something…well, maybe yes if it’s that, actually. [..YouTube..] @minembo WOW! Thanx for writing…OK: 1) TeamPiper2) 10 – but younger when we filmed the interview on this one3) Yes4) Hmmm…not sure about famous…the show’s been around for 3 years now though.5) Piper 🙂 6) It’s a trick question! What if you’re famous for owning the biggest toilet or something…well, maybe yes if it’s that, actually. @PipersPicksTV Piper I Hope you dont Mind If i answer some questions For YOU! Q.1 Do You Do The Effects For the show? Or does Team Piper Do it? Q.2 Are you 11 or 12 Q.3 Can you add me and Send me messages? If so tell me Q.4 How did You get So Famous? Q.5 Whos Going to be On The next Pipers Picks? Q.6 When im famous Will you Put me on 1 of pipers picks? [..YouTube..] Piper I Hope you dont Mind If i answer some questions For YOU!Q.1 Do You Do The Effects For the show? Or does Team Piper Do it?Q.2 Are you 11 or 12 Q.3 Can you add me and Send me messages? If so tell meQ.4 How did You get So Famous?Q.5 Whos Going to be On The next Pipers Picks? Q.6 When im famous Will you Put me on 1 of pipers picks? [..YouTube..] @PipersPicksTV Piper I Hope you dont Mind If i answer some questions For YOU!Q.1 Do You Do The Effects For the show? Or does Team Piper Do it?Q.2 Are you 11 or 12 Q.3 Can you add me and Send me messages? If so tell meQ.4 How did You get So Famous?Q.5 Whos Going to be On The next Pipers Picks? Q.6 When im famous Will you Put me on 1 of pipers picks? @Thepercussionist91 OHHH…That’s “Alone” – it’s an INCREDIBLE song from Heart (Ann Wilson is one of the best rock singers you could find & Nancy, her sister, is an incredible guitarist). You can find the original on YT if you search “alone heart”. Glad someone finally asked about that. 🙂 Happy Holidays. [..YouTube..] OHHH…That’s “Alone” – it’s an INCREDIBLE song from Heart (Ann Wilson is one of the best rock singers you could find & Nancy, her sister, is an incredible guitarist). You can find the original on YT if you search “alone heart”. Glad someone finally asked about that. 🙂 Happy Holidays. [..YouTube..] @Thepercussionist91 OHHH…That’s “Alone” – it’s an INCREDIBLE song from Heart (Ann Wilson is one of the best rock singers you could find & Nancy, her sister, is an incredible guitarist). You can find the original on YT if you search “alone heart”. Glad someone finally asked about that. 🙂 Happy Holidays. [..YouTube..] @Thepercussionist91 “That girl?” Hehe. [..YouTube..] what song was he singing with that girl in the mic??? im proud to be an indian as well! Tyler Mann is cute and a GREAT!!! Singer! @what0103 YAYYYYY!!!! Your school is AmAzInG!!! Is it just me, or this girl has a future (or present) as a show host??? You’re absolutely awesome!!!! @Shaprika Awee…Thank you so much for the sweet comments on BOTH episodes. Check out the interview with Vincent Martella (Phineas) too! @PipersPicksTV WOAH! You’re so amazingly lucky and TALENTED to boot! I saw your interview with Dan and Swampy from last year, and even thought you’ve improved so much, you were already amazing to begin with! Maybe I can become your assistant at some point? XD haha Still, awesome stuff and keep ’em coming! @emmi3344 Awweee…Thank you SOOO much!! 🙂 🙂 It was great to meet Tyler. He’s really nice and so talented. ALMOST did a few days ago! Pics are on our twitter account. Super cool. I love your videos. did u ever interwiew the winner of the next star? @Pinkynose499 Theme song was probably done in Logic…it’s been a long time, so not sure! How do you meet all those celeberties? hey piper! nice episode! Can’t wait till the next one! ps: can you interwiew justin bieber please?? I would like this better if someone sang the “Carl” song. Great episode. I like the funny voice(Darci likes her). Piper looks adorable. I like watching you. I miss you. thanks piper. your the best 🙂 i have a question for u piper: who is your dream guest to interview on your show and who is your favorite person that you’ve interview, so far? @MATTHEW65661 No! Haven’t seen that yet! @princessangel4evr YT won’t let us put it in the reply! Just Google “Piper Reese Facebook”! There’s a Piper Reese page! Thank you so much! Wow, he’s a great singer, and you’re not too bad yourself, Piper! Great episode! lol Piper looks kind of like Feona from Shrek when she’s shadowized. lol is that a word. Well it is now!! the end was so funny!